Are you planning an Everest Base Camp trip, but you don’t know where to begin? I know, Everest may sounds intimidating, but don’t worry. If you are not sure what to do or what to expect, you’ve come to the right place. 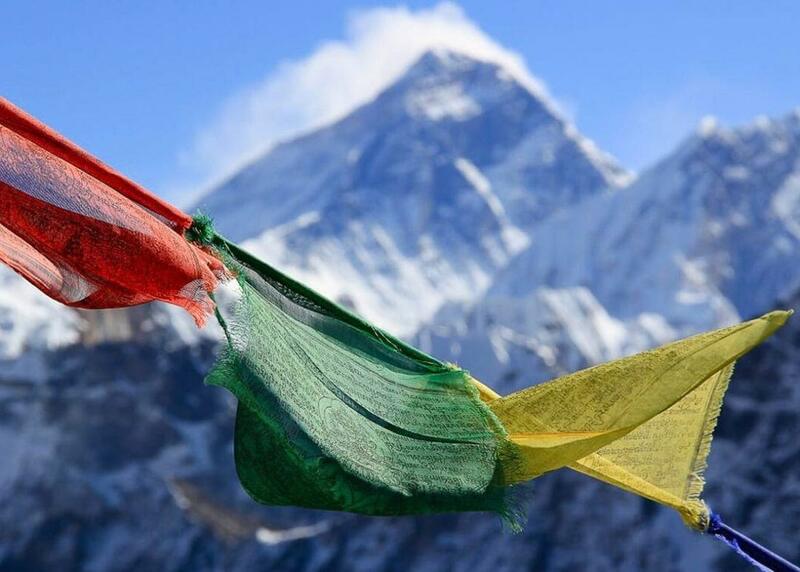 From what to pack to what to eat, this is a complete guide to trekking Everest Base Camp. 1 How difficult is trekking to Everest Base Camp? 3 When to go to Everest Base Camp? 4 How to reach the Everest Base Camp? 5 What to eat while trekking Everest Base Camp? 6 What can I expect from tea houses/ lodges? 7 What to pack for Everest Base Camp? How difficult is trekking to Everest Base Camp? More than 40,000 travelers trek to Everest Base Camp. Backpacking in Nepal to the Everest Base Camp is not considered to be difficult at all. You don’t need any prior experience or any kind of license to Trek there. You will need just one permit; TIMS (Trekkers’ Information Management System). You might have difficulty if you get altitude sickness. Just to be safe, take the medicine with you and drink a lot of water. If in case you get altitude sickness, come down to a lower altitude if possible. Listen to what your guide has to say. It is going to be cold. In the winter you can expect the temperature to get as low as to -16℃ (3.2℉) at night. In Summer, even though it becomes warm and the temperature can reach up to 18℃ (64℉), you can expect it to fall down to 2℃ (36℉) at night. So, pack your bags as per the season you are planning to go. Layer your clothes to stay warm and quickly wear and take off when required. When to go to Everest Base Camp? The best time to travel to Everest Base Camp is during pre-monsoon and post-monsoon season. It lies in March, April, May, September, October, and November in Nepal. However, it is not a bad idea to travel during off-season as well. There will be very less to almost no travelers on the trail. In rainy season too, as it usually rains in the evening and the whole night, you can trek in the morning. But, you will have to keep some buffer days at hand in case of any kind of cancellation. How to reach the Everest Base Camp? First, you fly to Tribhuvan International Airport, Kathmandu, Nepal. In Katmandu you can get the tourist visa on arrival, for 15, 30, or 90 days. Make sure you have a whole new page in the passport and the passport is valid for at least 6 months. If you have a little extra time, you should do some sightseeing in Katmandu. There are many routes to reach the Everest Base Camp which may take you from 11 to 18 days. You can opt for Gokyo lake trek, the route used by Edmund Hillary and Tenzing Norgay Sherpa from Jiri, high pass trek, or the standard route trek. The standard route trek takes 13-14 days to complete. I will be discussing the itinerary here. 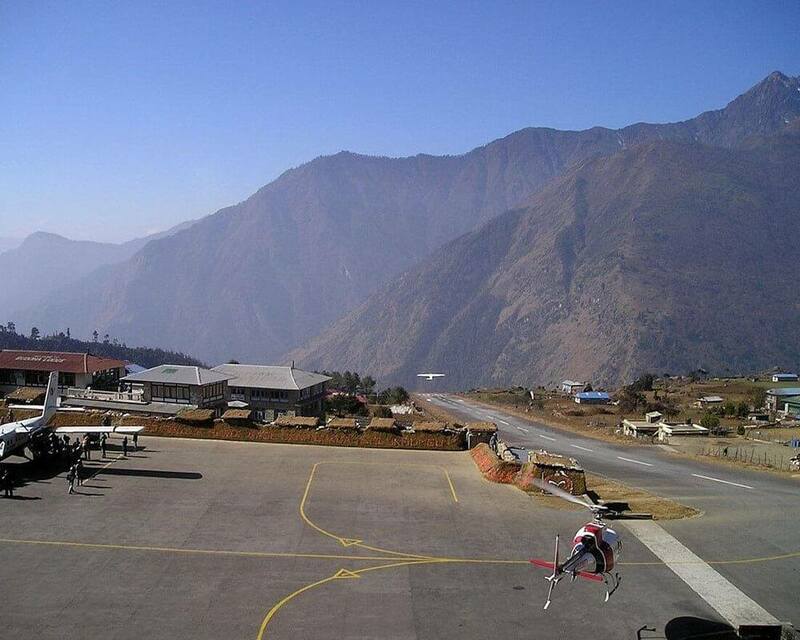 On your first day you will take a short but thrilling ride to the Lukla airport. From the plane, you’ll be able to see the beautiful landscapes and the mountains below. After landing, you begin our trek to Phakding. The scenery is absolutely beautiful: a lot of greenery, suspension bridges, and prayers carved stones. 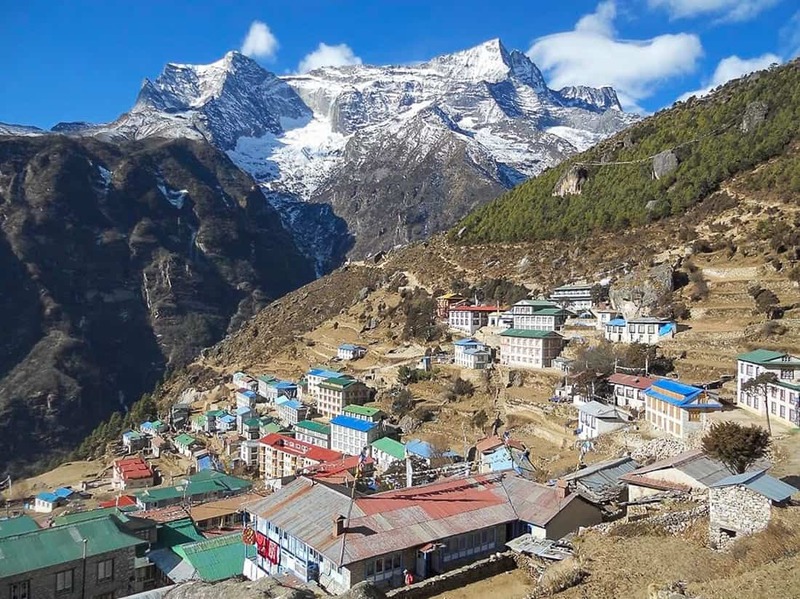 On the second day you will do an uphill hike to Namche Bazaar. You will cross the Khumbu river various times in swing bridges. In this trip, you officially enter the Sagarmatha National Park. After my bad experience atop the Jungfraujoch, I think acclimatization is extremely important. You will be spending another night in Namche Bazaar to acclimatize to the altitude. It is very important to drink plenty of water. On day 3, as you are waiting to acclimatize, you can take a day trip to Khumjung and see Mt. Ama Dablam and Mt. Thamserku. You can even go to the Khumjung Monastery. From Namche Bazaar to Tengboche, the trail will be a steep climb, flat walk, and downhill along the pine forest. You can also go to the Tengboche monastery and see the amazing range of the mountain peaks including Mt. Everest. From Tengboche to Dingboche is an easy walk. You walk through the forest and walk a flat trail for hours. However, be advised that the altitude will make the walk seem a little harder than it actually is. Remember! Drink water. Another acclimatization day. This day, you will climb the Nagarjun Hill. Take few steps at a time and rest. It is important to take it slow to adjust to the altitude. You will go up 500m from Dingboche to reach Lobuche. You can see the world’s highest glacier; Khumbu Glacier. You can also see the memorial for those mountaineers who had lost their lives in the Everest. Finally, the day to reach EBC! From Lobuche, you will hike to Gorak Shep. After resting for sometime, you will go to the Everest Base camp! You will return to Gorak Shep for the night stay. Due to the position of the mountains, The mountains are clearly visible from Kala Patthar (5,545m). So, the morning trek to Kala Patthar will provide you the immense beauty of the mountain ranges of Mt. Everest, Mt. Nuptse, Mt. Lhotse etc. You will descend down the same day to Periche. Pheriche to Tengboche will be ease on your mind, mood and lungs, but might not be exactly in your joints. The ride will be downhill and flats but make sure you descend without hurting your knees. As more oxygen enters your body, you might feel pretty excited. Enjoy the beautiful scenery on your way back. Celebrate your last day in the mountains. You will head down the hill you had climbed, cross back those suspension bridges from the other side. Catch the plane early in the morning as the chances of cancellation is low. Back to Kathmandu and back to your next destination. If you are planning to do this trek, check out this article to find out how much to budget for Everest Base Camp. What to eat while trekking Everest Base Camp? Nepali people eat Dal(lentil soup), Bhat(rice) and seasonal vegetable every day which is really filling. There is a saying that goes, “Dal Bhat power, 24 hour!” In tea houses and lodges along the trail, you can even get varieties of dishes from Indo-Chinese to Continental food. I recommend you to eat Dal Bhat at least once a day. You will feel fuller for a longer time. What can I expect from tea houses/ lodges? At some lodges, if you eat two meals a day, then you might get a room for free. Every other thing costs money, though. You need to pay a couple of dollars for the hot shower and also for charging your devices. Carry 4G sim card from Kathmandu for the internet. What to pack for Everest Base Camp? For more detailed advice on Dos and Don’ts when trekking in Nepal, read this post. It is not mandatory to take the children gifts but if you do, they will like it. It need not be very expensive kind of gifts. You can give them copies, crayons or even balloons!An easy way to make those little friends happy. You should carry a water bottle for two reasons: 1. It gets expensive as high as you go up and 2. it adds to the pollution. So, carry a water bottle for yourself with water purifying tablets. You will be walking for hours! It is important to increase your stamina before challenging this task. Get walking or jogging for a couple of hours, several weeks before you start Everest Base Camp trek. Solo travelers have gone missing and found dead. So, as much as you love to travel alone, don’t do it. Get a porter/guide. Porter/guides are really very helpful and you’ll be glad you hired one. They have knowledge about the trail and places. They can introduce the culture there. If you get hurt in any way or get altitude sickness, they can also help you. Besides, hiring a porter you will be supporting the family of four. It’s a good idea to buy travel insurance when trekking Everest Base Camp. When applying for the insurance, make sure you get the one that covers at least 5545m altitude. Also, add in the clause of helicopter rescue; it costs a lot there. It is a really sad thing to say that the trekkers litter around a lot. They just throw away plastic bottles, aluminum cans, and other things. These add up to make tons and tons of garbage. So, please bring back any kind of possible pollutants. Take a garbage bag with you. Are you interested in trekking? Check out some other posts about trekking in Argentinian Patagonia and in Chile’s Torres del Paine. Disclaimer: This post contains affiliate links for products I’m using on my travels – therefore I can highly recommend using them. By using these links you won’t pay any additional fees, but support me to keep this site running! Very detailed guide! Trekking is not simply traveling. We have to possess a lot of skills that can help us survive miraculously in difficulties. Thanks so much for your useful sharing. I will mark it for my trek in future! How amazing that you've trekked to Everest Base Camp! The scenery does look stunning, but the cold, discomfort and lack of luxury lodges discourages us :-). We applaud you for doing this, but we'll be virtual armchair travelers to Nepal :-). The armchair traveling seems more appealing to me, Janice. Pretty soon I'm going to start doing that too. What stunning scenery! Great write-up too, a lot of this is useful info for any high-altitude adventure. As someone who has also had a bad experience with altitude, acclimatization is so so important! This trek is like, beyond-my-wildest-dreams, bucket list material. The photos look so gorgeous!! The thing that has always put me off it is that I don't have the time to train for it :( I can't even eke out time to go to the gym, although I do manage to hit my 10,000 steps most days. Do you think you could train for it just by walking a lot, or do you need to something that's more cardio-intensive? Acclimatization with high altitude has very little to do with cardio exercises. You can do great on the sea level and when you get to high altitude be unable to breath. Fantastic guide! As you've said, planning a trip to Everest might seem incredibly overwhelming, which it always did to me. I don't think my brain could even wrap around that much info and planning. But a dream trip for sure! 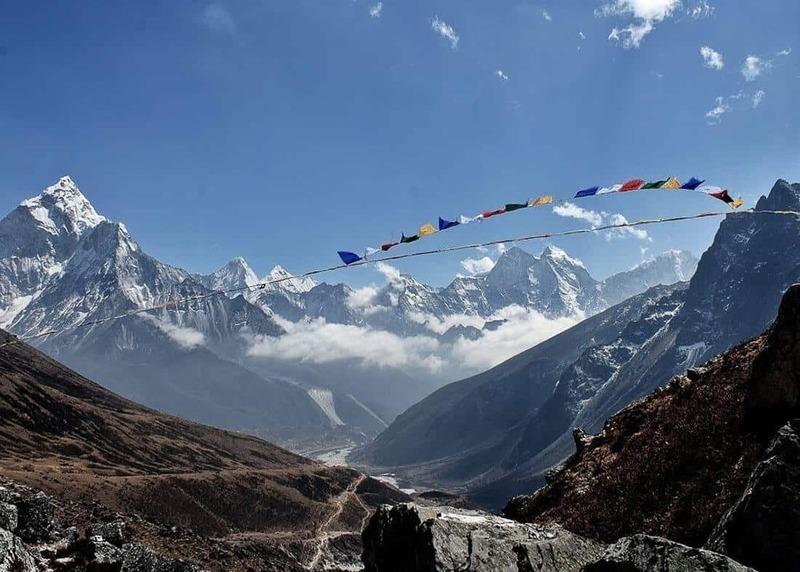 Hiking to the Everest base camp sounds amazing. I think it's a good idea for those who want to get the feel without tackling the summit. I can't agree with you more on layering your clothing. In New Zealand winters (which don't compare to Nepal's climate or altitudes), just the appearance of the sun can have you go from shivering to sweating in a matter of minutes. Great post, Anda! I heard about this trip since my father-in-law did it a few years ago. In his early eighties, he became somewhat of a celebrity as the oldest hiker on Base Camp. Locals, and of course Chinese tourists, were taking pictures and selfies with him... Though I sensed that he found that slightly annoying, it was a fun trip for him. He had a great time, made a lot of wonderful memories.